Kinston Mayor and FOB B.J. 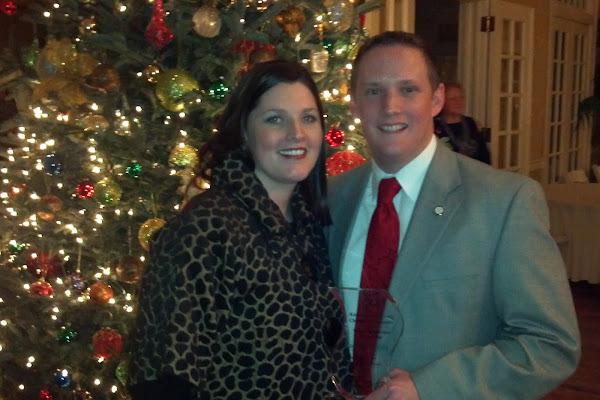 Murphy was named the Young Professional of the Year at last night’s Young Professionals of Lenoir County annual gala. Among the other honors handed out last night were TFP’s “20 Under 40″ awards and the Mentor of the Year award by the YPLC to LCC President Dr. Brantley Briley. My take: There is not a more deserving person than the mayor for this honor. You tell me another 20- or 30-something in our area who has made more of an impact in Kinston/Lenoir County than B.J. Murphy in the past three or four years? I voted in the 20 Under 40 awards and was duly impressed by the 50 or so people nominated. Some of the most impressive nominations, though, were for Scott Alston, Dana Hill, Benjamin Knight, Michael Parker, Eric Rouse, Samara Sutton-Taft, Mary Crews Whaley and Brian Wiggins. And a sincere congrats to Dr. Briley — one of the good guys out there. B.J. Murphy is more than a “figurehead” or a “ribbon-cutter,” and he is definitely not a “joiner,” someone who signs up for organizations just for the sake of promoting their name or agenda. The Kinston mayor is also a “doer” on a mission to find a voice for the young people of the community, said Becky Hines, head of the six-person selection committee casted by the Kinston-Lenoir Chamber of Commerce to crown the 2011 Young Professional of the Year. “He is a goal-setter who keeps pursuing his dreams even when he hits a roadblock or two,” said Hines, past chair of the Young Professionals of Lenoir County, the organization that sponsors the yearly distinction. Now, the 30-year-old is at the top of his class. The group of community activists between the ages of 21 and 39 charged with bringing youthful leadership and spirit to the area announced Murphy at its yearly gala Thursday as the winner of its third annual Young Professional of the Year award. “It’s his time. He deserves this,” Hines said of Murphy, whose determination to propel the area’s younger generation forward, both at work and in the community, earned him the organization’s highest honor. At its end of the year banquet Thursday night, the group also announced the winner of its Forever Young award — LCC President Brantley Briley. Patrick Holmes, editor and publisher of The Free Press, recognized the winners of this year’s “20 Under 40” award, a distinction the newspaper has bestowed on 20 Lenoir, Greene and Jones County citizens each year since 2008, to the night’s events. None of the people recognized for each honor has to be a member of the organization. Nominations for all three honors are submitted by friends, family or co-workers and the awards are given out to civic leaders, educators, businesspeople, elected officials, law enforcement personnel and others under age 40 who are making significant contributions to the community. Hines said the impact of Murphy’s volunteer work and community involvement helped him beat a handful of candidates nominated to the selection committee by county residents for recognition. The drive Briley, 58, has shown during his career — similar to Murphy’s, only over a larger audience and during a longer time frame — boosted him to the status of Forever Young, an award formerly known as the Young Professionals Mentor of the Year. The honor represents an individual who not only supports the Young Professionals, but has provided insight to the group on how it can expand its reach in the community. Taylor said Briley helped begin the group four years ago in approaching the Kinston-Lenoir County Chamber of Commerce with an idea to create an avenue for young professionals to play a significant role in how the community functions. The honor, sponsored by Southern Pharmacy Services and elected by the YPLC Advisory Board, had its name changed this year to embody how the group hopes to continue to emphasize its youthful presence in the community in the future. The Young Professionals of the Year award is sponsored by the Allen Pearson Emergency Services Foundation, in honor of slain Lenoir County Sheriff’s Detective R. Allen Pearson Jr. Note: Profiles of the Class of 2011 will appears in a special ‘20 Under 40’ section in the Sunday, Dec. 18, edition of The Free Press.